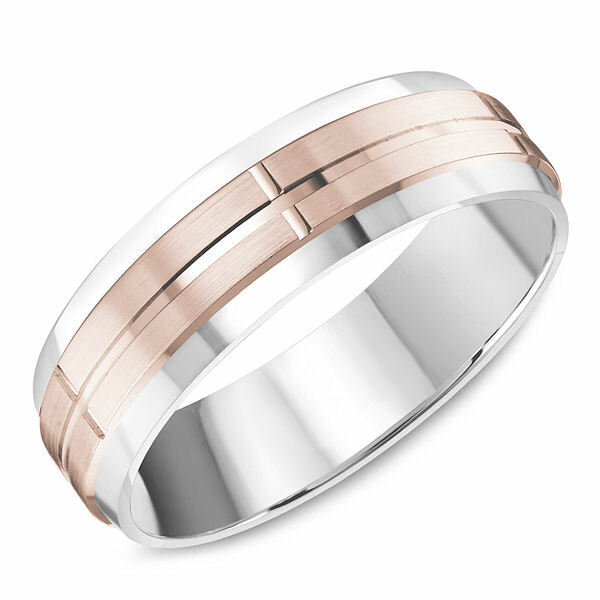 14kt rose & white gold, classic, comfort fit wedding ring. The ring is 6.0 mm wide and about 1.65 mm thick. Center of the ring is brushed and the rest is polished. Different finishes may be selected.